Last March I painted a section of my kitchen wall with chalkboard paint. I thought it would be fun to fill the wall with cooking verbs but I think I overdid it. At any rate, I needed to change it up. First off, I used the white frame on the wall to frame some vintage kitchen items. I also added an old scale, pewter pitcher, basket of enamelware lids, berry stomper, grease canister, and coffee tin to the counter and moved the kraut cutter down. I also hung a cutting board, and my faux grain sack picture frame with an old photo of my great grandma's family. The bottom cubbies stayed pretty much the same. I like this much better! 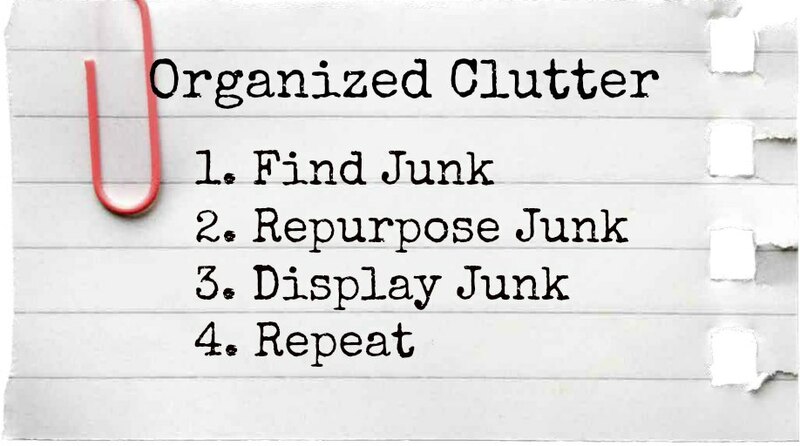 I love the organized clutter if you call it that. The piece of wood that the rolling pins are on is great, the wood and the pins! What a sweet little corner with all kinds of fun things. How cute! What a ingenious way to show off all of those neat old vintage pieces out where you can enjoy them. What an awesome way to display your treasures! I love EVERYTHING! A definite share! Interesting displays Carlene ... especially love the breadboard with the number 6 and the "berry stomper" with the green handle. Great display Carlene. I agree with Audrey--I love the cutting board with the number 6. Did you do that yourself? Love it!